If you have anything you would like to see on this page just email them to Nancy (Mayer) Mellott at Luv2ScrapOH@aol.com and I will get them on here. 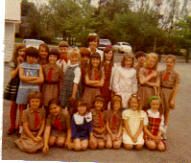 First row: Mrs Boone, Tracey Pickett, Kelly Thomas, Ken Hockensmith, Debbie Ferguson, ? ?, Robin Backensto, Mark Leedy. Second row: Chris Thomas, Brenda Kuelling, ??, ? ?, Matt Mayer?, Tina Shields, ? ?, Terry Bean. 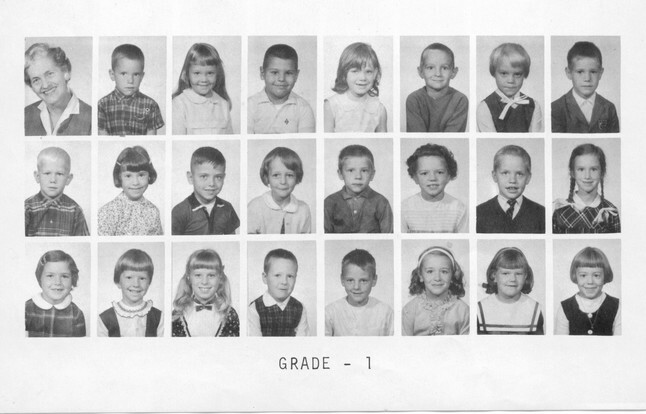 Third row: Robin Loesch, Robin Campbell, Sherri Crist, Phillip Cook, Mike Burggraf, Janet Harmon, ? ?, Lori Higgins. 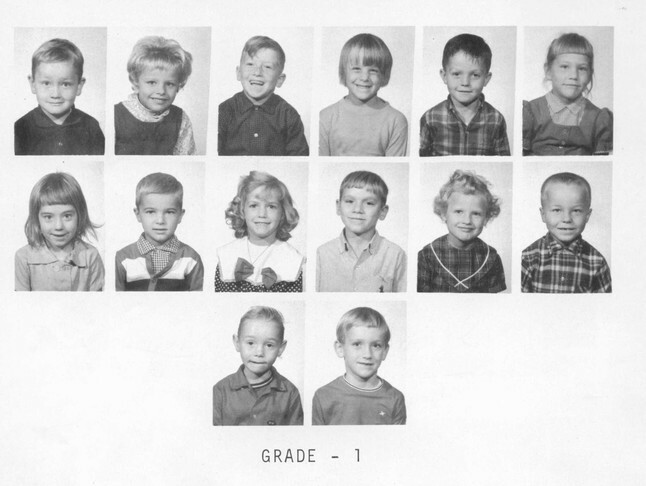 First row: Mrs Dunkle, Robert Hurlbert, Jody Luedy, Alan ?, Alana Ashley, T J Hieatt, Joanne Giess, Jeff Miller. Second row: Lewis Stigall, Tina Liersmann, Tammy Drinkwater, Kim Walker, Bruce Stiteler, Heidi Leinard, Lori Prion, Shelly Hall. 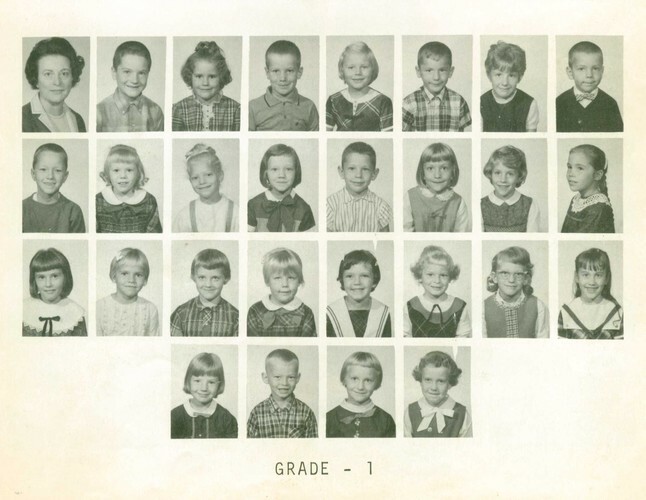 Third row: Gina Vance, Jerry VanDine, Jill Au, Joy Robson, Vicky S?, Mildred Suduth, Kathy Deems, Jackie ?. Fourth row: Kim Boyd, Tom Mitchell, Colleen Haynes, Renee Heslep. First row: James Stigall, ? ?, Mike Moore, ? ?, Dwayne Seamour, Darlene Sager. Second row: ??, ? ?, Cheryl Kash, ??, ? ?, ??. Third row: ? ?, Lee Tracy. If anyone recognizes people in these pictures, let me know and I will add names. Just say, 1st picture, third row, 4th person, is....... These pictures are from Eastview Elementary. 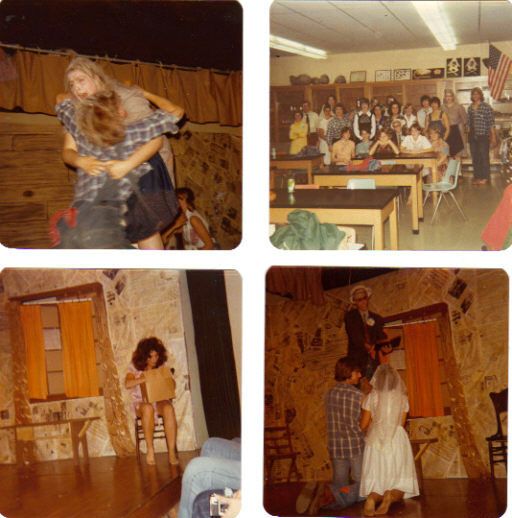 These pictures were taken our Junior year at the class play, "Hillbilly Weddin"
1978 DC trip! 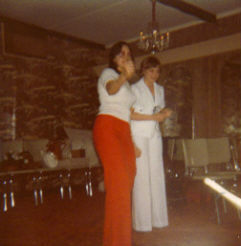 Sure wish we had digital cameras back then! 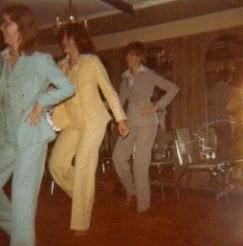 Top picture is Jody Luedy Shockley, Kristie Gutchall Rader and Nancy Mayer Mellott. Now, this one goes WAY back! As in 1969! Now I can't remember ALL of them, but this was taken at Mifflin Elementary school. 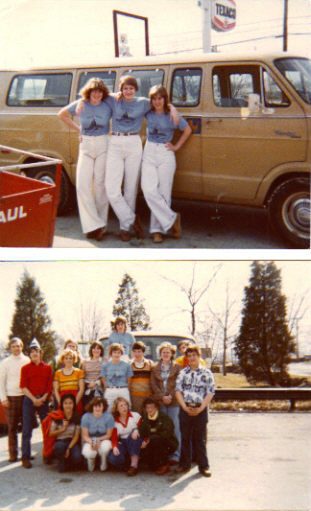 Front row, can't figure out the first 2, then Sharon During, Vicky Wheaton, Patty Foote, Kathy Bauer, and Darla Newberry. Second Row: Carol Stelzer, MaryJo Maxfield, Sandy Setlich, Cindy Ohl, Nancy Mayer (then Baldwin) Jill Barry and Heidi Hammett. 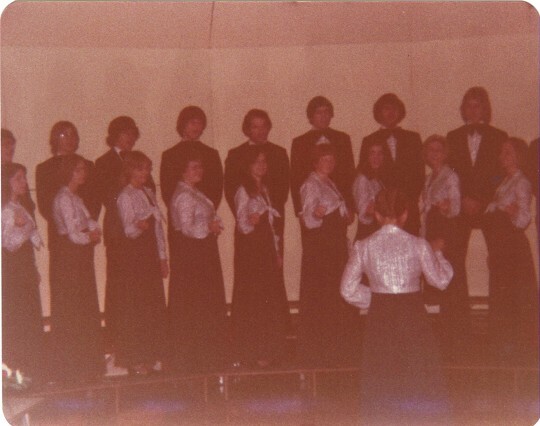 Back Row: Diana Boals, don't know, Amy Keller, don't know, Kim Shoup and Patty Brannon!